Description - decorating the mountainside. A blanket of white peacefully covering the peaks and valleys. From a lush hiker's paradise in summer to the brightly colored flowers that bloom in spring, you'll find fun for every season in and around Pigeon Forge and Gatlinburg. 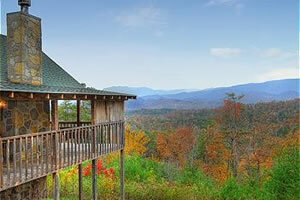 Smoky Mountain Cabin Rentals from Summit View Cabin Rentals offer some of the most breathtaking views imaginable. Located within a gated community of log homes, you'll have access to a fully stocked fishing pond as well as unlimited photo opportunities in every direction. The beauty of these Smoky Mountain cabin rentals also extends indoors with one-, two-, three-, four- and six-bedroom log cabins for rent. Expansive living areas give plenty of room for families and large groups while full-size kitchens and bedrooms offer a homey touch. You can also look forward to restful porches and soothing Jacuzzis right outside the door of your cabin. 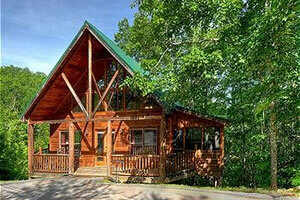 All Summit View cabins are conveniently located near the area's most famous attractions. Within minutes, you'll find yourself at the Great Smoky Mountains National Park, eight fabulous factory outlet malls with over 250 stores, whitewater rafting, championship golf courses, Dollywood, numerous live entertainment theaters and multiple restaurants. Whether you book a luxury cabin in Pigeon Forge or one near Gatlinburg Cabins are equipped with pool tables, hot tubs, game rooms, full kitchens, grills, fireplaces, cable or satellite TVs and more. Plus you get panoramic mountain views guaranteed to bring about a whispered "wow. When you're planning a romantic getaway, honeymoon, family vacation, reunion, corporate retreat or golf getaway, luxury Smoky Mountain cabin rentals from Summit View do more than accommodate. They captivate! 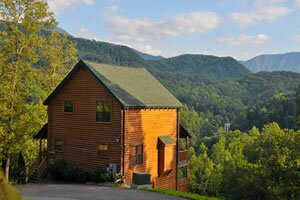 Ready to plan your Smoky Mountain escape? 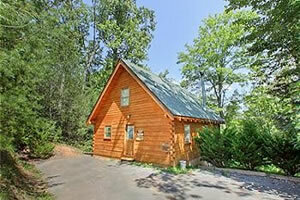 View cabin specials or book your cabin rental today.